 The secondary cycle at the European School Copenhagen opened in 2018/19 with grades S1-S2 (equivalent to the Danish 6th and 7th grade). In August 2019, the school will open the upper secondary cycle with grade S5 (which is equivalent to 1.g in a Danish high school/gymnasium). The European School Copenhagen follows the curriculum set by the European Schools. In S1-3 pupils follow a common curriculum and most subjects are taught in the pupil’s mother tongue (L1 – the language of the section). In S1 the pupils begin to study a second foreign language (L3). In S3, all pupils study human sciences and religion or ethics in their first foreign language (L2). In S2, Latin is offered as an option. In S3, pupils who chose Latin in S2 continue to study it. For the other pupils, ICT is offered as an option. In S4 and 5, the compulsory course in integrated science is subdivided into physics, chemistry and biology, and pupils may choose between the advanced or the standard course in mathematics. Complementary courses include music, art and ICT. S6 and 7 form a unit which leads to the European Baccalaureate. Although there is a core of compulsory subjects, including mother tongue (L1), first foreign language (L2), mathematics, a science subject, philosophy, physical education, history and geography, students have a wide range of further options and may choose to study some subjects for two or four periods. The European Baccalaureate is fully recognised in all the countries of the European Union, as well as in a number of other countries. European Baccalaureate certificate holders enjoy the same rights and benefits as other holders of secondary school-leaving certificates in their countries, including the same right as nationals with equivalent qualifications to seek admission to any university or institution of higher education in the European Union.